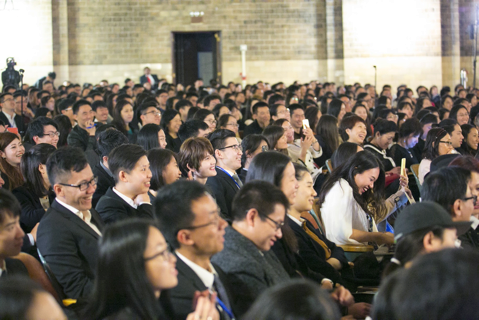 The student-run Penn Wharton China Summit welcomes global innovators while providing a platform for an emerging generation of leaders. This year’s student-run Penn Wharton China Summit being held April 13-15 will focus on redefining China’s future and packs a powerful line up. Now in its third year and with more than 30 speakers, including Cui Tiankai, the Chinese ambassador to the United States, the Summit brings industry leaders from China to campus, said the co-president of the Penn Wharton China Summit, Shirley Liu, W’19, of Beijing, a junior business analytics major in the Wharton School. “While it is difficult to attend these speakers’ talks in China, students have the opportunity to hear from these leaders in a close setting and on their own campus,” Liu said, adding that it’s important to understand China objectively, particularly with the current globalization trend. And that’s exactly what the Penn Wharton China Summit does. The importance of the student-organized event, said Zhang, manifests in three ways. Liu’s co-president, Rosi Ni, W’19, a Wharton junior from Shanghai, said the 2018 Summit will address building the U.S.-China platform, corporate sustainability, and the new investment landscape. One of the highlights of this year’s Summit, organizers said, is the career fair, where attendees can exchange contact information after sharing their resumes, and a panel presentation at the Inn at Penn, where attendees will hear from human-resources specialists from participating companies. Another highlight includes an international relations panel moderated by Avery Goldstein, the David M. Knott Professor of Global Politics and International Relations in the Political Science Department in Penn’s School of Arts and Sciences. Goldstein is also the associate director of the Christopher H. Browne Center for International Politics at Penn and director of the Center for the Study of Contemporary China. Zhang added that Penn has been a global institution for a long time and events like the Penn Wharton China Summit showcase Penn’s commitment to advance its long history of engagement with China in an increasingly interconnected environment. This story was adapted from an article by Jill DiSanto that originally appeared on Penn Today. The annual Penn Wharton China Summit (PWCS) has emerged as one of the most widely attended conferences focusing on China in American academia. It was originally founded by Eric Tse, W’18, and Lisa (Xingyi) Wang, W’18, in 2016. Now in its third year and with more than 30 speakers attending (for example, Cui Tiankai, the Chinese ambassador to the United States), the three-day event integrates networking sessions, a career fair, and diverse speaker panels featuring thought leaders from a diverse range of industries in China — including real estate, finance, technology, media and entertainment, art, fashion, and social innovation. Its sphere of influence extends beyond the United States. Along with more than 30 other media outlets and newspapers, China Central Television (CCTV), the predominant state television broadcaster in China, has covered PWCS.